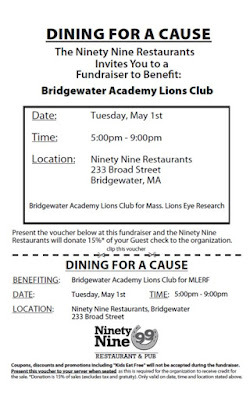 Bridgewater Academy Lions Dining for a Cause (Lions Eye Research) is being held tomorrow night at the Bridgewater 99 Restaurant from 5-9 PM. 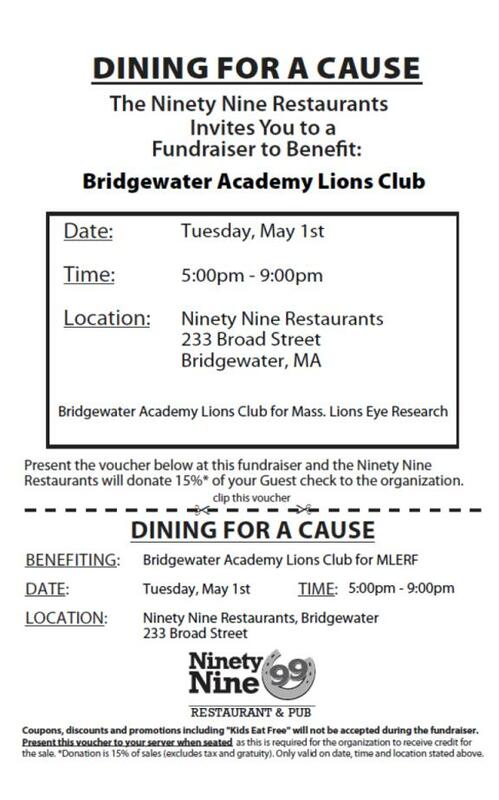 If diners bring a printed copy of the flier with them for Dine-In or Take-Out tomorrow night, the 99 Restaurant will donate 15% of the total guest check (excluding tax & gratuity) to MLERF. This is a chance to enjoy good food and beverages and help a worthy cause at no additional cost beyond the guest check. 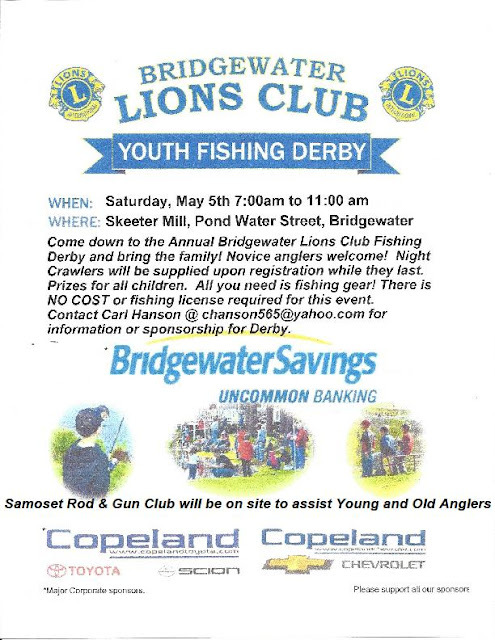 Pre-printed flyers are available at the Bridgewater Public Library, Senior Center, and Polished Image Hair Salon. In addition, the Bridgewater Academy Lions will have a prize drawings table, with prize ticket proceeds to benefit local scholarships, community programs, and other Lions charities. The Bridgewater-Raynham Special Education Parents Advisory Council (BR-SEPAC) will be holding a presentation for the 2017-2018 school year on Tuesday, May 8th at 6:30 pm titled, Happy Square Pegs. Patti Menzel discusses embracing the strengths of autism, while sharing positive management strategies for an enriched autistic life. This presentation features a tale of transformation as we follow Patti from her undiagnosed years, institutionalizations, and initial response to an autism diagnosis to an awareness of the gifts of autism. This presentation features the impactful supports and strategies which have greatly improved Patti's connection, communication, and functioning. The meeting will be held at The Bridge Center located at 470 Pine St., Bridgewater, MA. 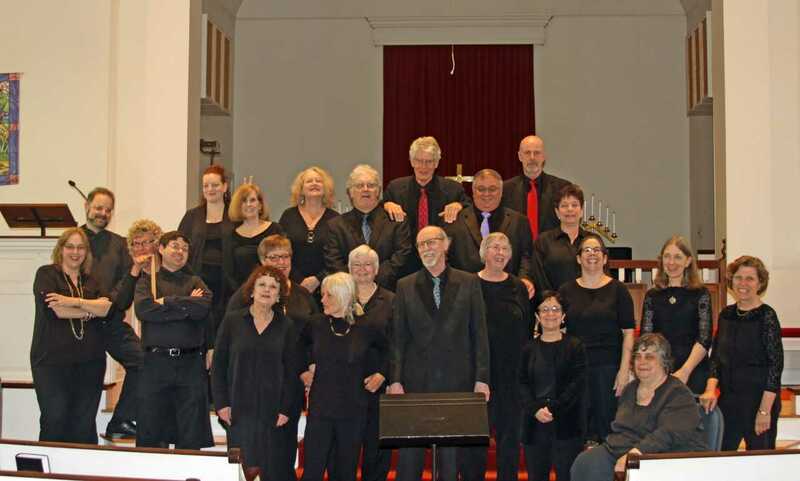 The Bridgewater State University Alumni Chamber Choir will present a special spring concert, “Once Upon Our Time,” at the Central Square Congregational Church, 71 Central Square, on Sunday, May 6 at 3 p.m. Directed by Dr. Carol A. Nicholeris, professor of music at BSU, the concert marks her retirement from the position of music director of the choir, which she has held since 2000. For her final concert repertoire, Dr. Nicholeris has chosen a selection of her favorite pieces that the choir has performed under her direction over the past 18 years, which will be accompanied by piano, percussion, flute, and washtub bass. A presentation to honor Dr. Nicholeris and a reception will follow the concert. Tickets, $10 general admission, $5 seniors and students, will be available at the door. Dr. Nicholeris, a resident of Rockland, focused her music education specialties and doctoral research interests in the areas of music education philosophy, brain research, curriculum design and music education methodologies. She joined the Department of Music faculty of Bridgewater State University in 1988, with specialties in music composition and general studies. In 1997, Dr. Nicholeris was inducted as a lifetime member of Pi Kappa Lambda, the national honor society of professional musicians, for her work in music education. As a composer, Dr. Nicholeris has written for both vocal and instrumental ensembles. Upon request she composed two new songs for Bridgewater State University: “The Alumni Anthem,” which is the school’s new alma mater, and “Go Bears!,” the new fight song for the Athletic Department. Her works have been performed by organizations such as the Greater Boston Youth Symphony, the Boston University Women’s Chorus, the Music Festival Chorus of Charlotte, NC, the Westfield State College Choir, the Bridgewater State University Chamber Choir, as well as other choruses throughout the United States and overseas. Dr. Nicholeris’ works are published through E. C. Schirmer Music Publishers of Boston. She is an active member of the Music Educators National Conference, the Massachusetts Music Educators Association, and the American Choral Directors Association. Dr. Nicholeris has an extensive background as a conductor of choral music and has directed church choirs, community choruses, and public-school choruses. The BSU Alumni Chamber Choir is a non-profit chorale organization composed of volunteer BSU alumni and members of the community. Founded in 1989 by Dr. Jacob Liberles, professor emeritus of the university’s music department, the Alumni Choir performs a spring concert and winter concert each year, and at various university and area community venues across the region. For further information, contact Arthur Sharpe, President BSUACC, 1.781.888.4490 and carptec2@aol.com or visit www.facebook.com/BSUACC. 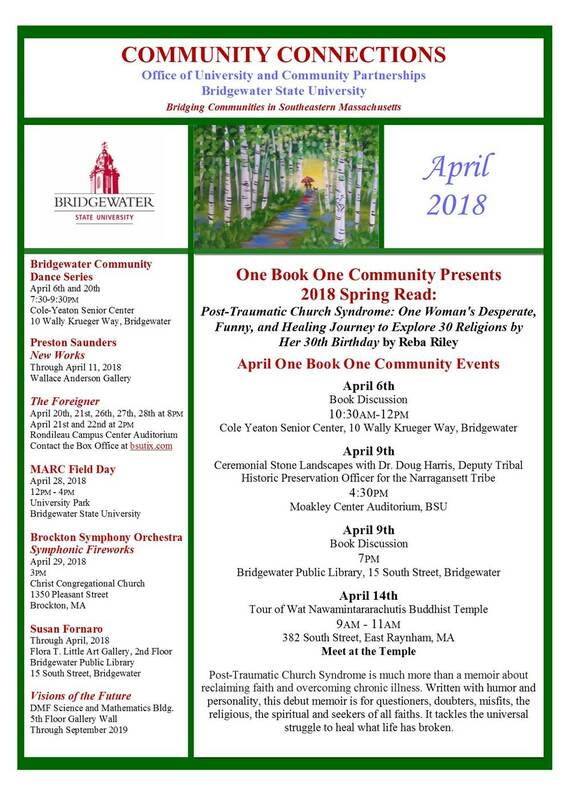 On Saturday, April 28th, the Taunton branch of the AAUW (American Association of University Women) will meet the home of Louise Freeman at 11a.m. for a business meeting. AAUW membership is open to any graduate holding an associate or equivalent, baccalaureate or higher degree from a qualified educational institution. Undergraduates may become AAUW affiliate members. Members of this local branch include women from Bridgewater, Taunton, Raynham, Lakeville, and other South Shore towns. For more information about the Taunton Area Branch of the AAUW, contact Rosemarie Buote, Vice-President of Membership, at 508-669-5069. The AAUW of Taunton also maintains a website at: http://aauw-ma.aauw.net/branches/taunton/. The Bridgewater-Raynham Special Education Parents Advisory Council (BR-SEPAC) will be holding a presentation for the 2017-2018 school year on Tuesday, May 8th at 6:30 pm titled, Happy Square Pegs. Patti Menzel discusses embracing the strengths of autism, while sharing positive management strategies for an enriched autistic life. This presentation features a tale of transformation as we follow Patti from her undiagnosed years, institutionalizations, and initial response to an autism diagnosis to an awareness of the gifts of autism. This presentation features the impactful supports and strategies which have greatly improved Patti's connection, communication, and functioning. The meeting will be held at The Bridge Center located at 470 Pine St., Bridgewater, MA. The BR-SEPAC will hold a BR Staff Appreciation meeting at 6 pm and then the presentation will follow at 6:30 pm. A presentation on the Impeachment of President Andrew Johnson will be given by Historian and Professor Dr. Gary Hylander, PhD at the Bridgewater Public Library on Tuesday, May 8th at 6:30 p.m. 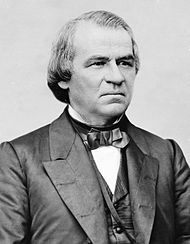 This year marks the 150th anniversary of the impeachment trial of President Andrew Johnson. The framers of the Constitution had provided a legislative remedy to remove an errant president. Article II of the Constitution stipulated that a president could only be impeached and removed from office on conviction of “treason, bribery or other high crimes and misdemeanors.” Join us as we discuss the process of impeachment and how the post war Civil War politics and partisanship of Reconstruction led to the impeachment of President Johnson. The university will be testing its emergency notification systems on Tuesday, April 24, 2018, at 9:20 a.m. The test is designed to test the emergency communication systems and to ensure students and employees are prepared to react in an emergency. People on campus and in surrounding areas can expect to hear repeated siren sounds and a series of drill instructions. 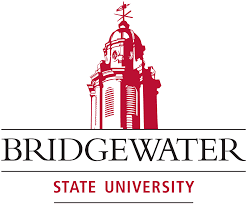 Thank you for your cooperation as we work to maintain a secure environment at Bridgewater State University. 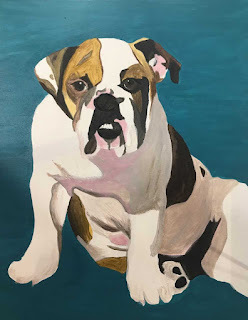 Come join us and paint a portrait of YOUR pet! All supplies and guided lesson is provided. Fee is $40.00 per artist. Registration and payment is required in advance at Blue Anchor Studio webstore, Classes/Parties registration tab, and scroll to May 12th. You will need to provide a clear picture of your pet at least 5 days prior to the class in order that the canvas is prepped for you. The image you provide will be drawn on the canvas so when you arrive, you will be ready to paint with assistance. This class size is limited, so don’t wait to register. Traci Boiselle will be taking part in the Susan G Komen 3 day Walk in Philly this September. Tiffany Rice is a Spirit Medium and has offered to hold a fundraising Gallery reading to help raise money for this great event! We are super excited to announce this very special event coming up in June! Spirit Medium Tiffany and Traci will host the event at Tiffany's studio The Shop at 200 Elm (on Elm St in Bridgewater) for a very intimate gallery reading! A portion of the profits will we donated to Susan G. Komen at my Susan G. Komen 3-Day Walk this September in Philly!! Let’s have a great night connecting with spirit and joining the fight against #breastcancer!! The Office of Career Services at Bridgewater State University will hold its annual Education Career Fair on Wednesday, May 2, from 4 to 6 p.m. in the Rondileau Campus Center Ballroom. This event provides teacher candidates with the opportunity to meet and network with more than 55 Massachusetts school districts, independent schools, charter schools and nonprofit educational organizations that are anticipating teacher openings in the 2018-2019 school year. Candidates should bring plenty of resumes and dress in professional business attire. This event is free and open to current students, alumni and the public. Parking is available in the BSU Parking Garage, 451 Great Hill Drive. Contact Katie Vagen in Career Services at 508.531.1328 or at kvagen@bridgew.edu for more information. 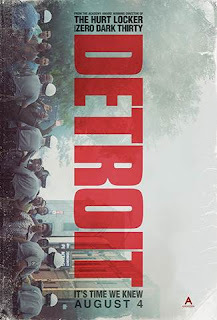 A fact-based drama set during the 1967 Detroit riots in which a group of rogue police officers response to a complaint with retribution rather than justice on their minds. Sponsored by the Social Justice Committee of the First Parish UU Church and the Bridgewater Citizens for Civility and Respect. Third in our Black Lives Matter film series. Contemplating your future and the future of your community? What if your future would impact your community's future? Come learn about the career of elected politicians. Our panelists, Patricia Haddad, Speaker Pro Tempore of the Massachusetts House of Representatives and Carole Fiola, Massachusetts State Representative, will share what the job is like day-to-day. Gain insight on the inner workings of the State House and the possibilities to draft laws, manage a committee, collaborate with colleagues, and impact the budgets and laws that keep the state going. Sponsored by Bridgewater State University's Center for Democratic Governance and Leadership, BSU's Women's and Gender Studies, and the Massachusetts Chapter of the American Association of University Women. The Bridgewater Garden Club will host two meetings in April at the Senior Center on Wally Krueger Way. All members and guests are welcome to attend one or both meetings. The evening meeting will be on Monday, April 23rd at 6:30 pm. Chuck Doughty from Cochato Nursery will discuss “Hostas- the Funkia, the better” where he will discuss some of his favorites. Library Long Range Planning meeting at the Bridgewater Public Library on Tuesday, April 24th at 6:30 pm. The Board of Trustees of the Bridgewater Public Library invites Bridgewater residents to join them on Tuesday, April 24th at 6:30 pm in the Flora T. Little meeting room to discuss long-range plans for the Library. We will share the results of last year’s survey and be seeking input on how the Library can best serve the needs of our community. The former Tripping Lily front woman has left behind the acoustic, condenser mic style and has brought her East Texas roots up North for her debut album, fittingly named, “Washashore Cowgirl”. After leaving the band in 2013, she purchased a 1956 Martin O-18, named it Bo, and plugged in. For the next few years she started playing with a bunch of salty, accomplished Cape Cod musicians who helped bring back the cowgirl attitude and inspired her to write about her sometimes humorous, sometimes tear-jerking journey from Texas, love, and heartache. Much of the album is like a stiff cocktail, deeply auto-biographical and mixed with a hint of fiction. Rizzio wanted to write a song about one of her musical idols and penned “Willie Nelson” while being snowed in during a Nor’Easter. After channeling her inner-willie for a couple of days, she found herself in a love affair with an older man, in a tale of two cities, with forgotten yesterdays. This ode to Willie Nelson won finalist in the 31st annual Songwriters of Washington (SAW) competition and will be the first single released in early 2016. The title track, “Washashore Cowgirl” is the culmination of growing up with a mullet in the bible-heavy plains of Quitman, Texas and somehow winding up on the same shores as the Pilgrims. Produced at Brick Hill Studios, with Jon Evans (bassist for Tori Amos & Sarah McLachlan) over the past 18 months, Monica & Jon have have sculpted her songs in what she likes to call AmeriCountryGrass, and that basically sums up her style. Monica has become one of the most reliable supporting acts as well, having shared the stage with Chris Botti, Boz Scaggs, Diana Krall, Joan Osborne, and Slaid Cleaves this past year. She has played the Main Stage at Strawberry Park Bluegrass festival the past two years and is a frequent collaborator with the Cape Cod Symphony Orchestra. In December of 2014, she performed as part of Tom Rush’s band at his annual show at Symphony Hall in Boston. She played fiddle, guitar, ukulele and sang backups as well as performing her originals “Luckier Than You” & “Willie Nelson” with Red Molly backing her up. “It’s time that I saddle on again and hit the road sharing my crazy washashore cowgirl story,” says Rizzio, who is probably most at home when she is on stage sharing her songs. Jake Bautista is a singer/songwriter from Los Angeles, California. Jake attended Berklee College of Music from 2011-2012. During this time he formed Mad Blackbirds, a trio that played an eclectic brand of indie rock. In 2014, Bautista moved back to Los Angeles. There he spent a year playing as a solo artist, and in the folk-rock group Black Birch Dogs. In 2015, he moved to Harwich, Massachusetts. Since then, he has been gigging and teaching guitar around Cape Cod and the greater New England area. Bridgewater Town Clerk’s Office reminds residents that Monday, April 9, 2018 is the deadline to register to vote for the upcoming Annual Town Election to be held on April 28th. The Voter Registration Session will be held at the Academy Building, 66 Central Square and will be open from 8 a.m. to 8 p.m. on April 9th. Persons who are United States Citizens, residents of Massachusetts, and who will be at least 18 years old on or before April 9th are eligible to register. Those meeting these qualifications who have a Massachusetts Driver’s License can submit their registration online atwww.RegisterToVoteMA.com. For further information please contact the Town Clerk’s Office at 508-697-0921. The Bridgewater Public Library will feature an exhibit of paintings by Susan Fornaro in the Flora T. Little Art Gallery during the month of April. Susan Fornaro tells a story of the dance between light and shadow in her representational narrative style of painting. She sees a puzzle of architecture, an angled doorway, a shaded cottage at the seashore or perhaps a lacey curtain floating in the breeze as a conversation, an interaction between light and shade to be paintedand preserved. There is often a stillness to her paintings, a freeze frame moment containing the power of contrast. Susan’s paintings have won numerous awards and prizes over the years. You can even find some of her paintings and murals in the corridors of Boston Children’s Hospital, Harvard Dental School and at the Anchor Inn in Provincetown, MA. Local resident Bill Driscoll and Bridgewater native Chuck Simonds have opened CrossCountry Mortgage here in Bridgewater. If you are in need of a mortgage or are looking to refinance your existing mortgage, please be sure to give Bill or Chuck a call! CrossCountry Mortgage, Inc. is a growing nationwide mortgage lending and refinancing company with the Bridgewater branch located at 555 Bedford Street. With a keen interest in the local real estate market, Bill and Chuck begin the process by earning their customers' trust. They listen to you. They assess your financial situation and review your loan options to find the best solution. Then, they guide you through the process. At CrossCountry Mortgage, Inc., expect more than a mortgage. The CrossCountry Mortgage team is ready to help you identify and obtain the right home loan or refinancing solution for your needs. Whatever your situation, they'll be by your side from start to finish, keeping you informed and getting your loan closed quickly. At CrossCountry Mortgage, Inc., you can meet with a licensed loan officer face-to-face in the Bedford Street branch or complete the entire process online or by phone. Call now at 508-659-9800 and CrossCountry Mortgage will get you pre-qualified or pre-approved and on your way to the home of your dreams. For more information about CrossCountry Mortgage, please visit their website by clicking here and be sure to "Like" them on Facebook by clicking here.